Kabahinda, also known as Mama Benjamin is a single mother of 41 who lost her husband a few years ago. She has three children; Patience (13), Benjamin (10) and Jeremiah (3). Patience is partially deaf and Benjamin was born with cerebral palsy while Jeremiah is healthy in every aspect and a very active child! I first met Kabahinda, two years ago when Every Life began supporting a group of mamas who had children with special needs. We trained them in the Village Savings and Loans Association (VSLA) and Kabahinda soon became a key member of the group. Later we took her and a few other mamas along to an intensive training course in business skills run by the organisation, Caring Hands. Kabahinda had a sewing machine but she only really used it to repair torn clothes. She already knew how to make bags but lacked the capital to purchase the materials needed. During the training course, she was able to save some money, put together a plan and with a small financial boost from Every Life she established her business. Kabahinda now has a prospering sewing business selling handmade bags and bed covers. She moved to Kasokoso – an area with a larger population, to gain a better market for her business and hired a small stall, which she ensured was next to her home in order to be available for Benjamin throughout the day. (Left) One of Kabahinda’s handmade bags. (Right) Mama with Benjamin. 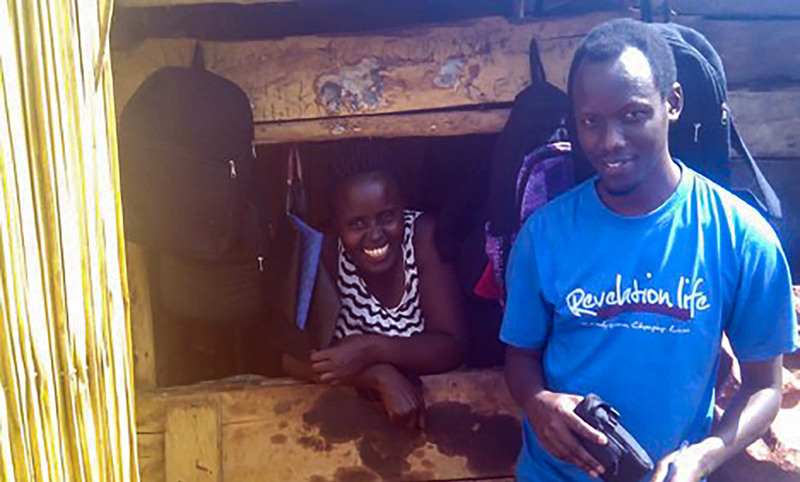 As a single mum of three children, Kabahinda handles her responsibilities amazingly well. Her house is well kept, her family healthy and her business is growing slowly but surely. She is proud to be able to care for her children; Jeremiah is growing and full of energy and Patience has excelled at primary school – so much so that she achieved a sponsorship for her Secondary education from a charity organisation. Kabahinda has also used her seamstress skills to make cushions for Benjamin’s special chair to ensure his comfort and safety. It is wonderful to see that the family has strength for today and bright hope for tomorrow!